All Connor wants to do is guard his charges and keep them safe. He doesn't have time for love, and after what happened before, no inclination. He doesn't understand why his friends keep falling in love with mortals and telling them about vampires. To Connor, that just means more work keeping everyone safe. When he goes to investigate another Casimir sighting, he finds a woman, unconscious and bleeding. Thinking she's a Malcontent, he takes her back to Romatech to patch her up. When a horrible accident occurs, Connor's forced to realize he may be the one to put everyone in danger, for he's managed to find an angel of death. All Marielle wants to do is help people, not hurt them. When she rebels against her orders for a third time, her wings are stripped from her, and she's trapped on Earth in a mortal body. Confused and alone, she must rely on Connor, the nice man who helped her when she was injured. She's not sure why she didn't kill him with her touch, but when she learns he's a vampire, things become clear. 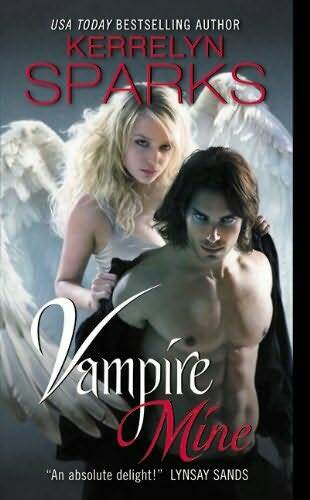 She begins to wonder if her future is tied with helping these vampires defeat evil. She also sees in Connor an old festering wound on his soul that needs to be healed. She figures if she helps his friends with Casamir and also heals Connor's wounds, she might be able to get back into Heaven. She has to hurry, though, for the longer she stays on Earth, the more human she becomes. It's hard to concentrate with all these strange feelings that run through her whenever she looks at Connor, or he touches her. She knows lust is a sin, but how can it be a sin when it feels this good? I'm glad to see Connor finally get his own story. After nine stories of him predicting doom and gloom when his friends fall in love, I'm glad to see him finally get his comeuppance. It makes sense that he would get paired with an angel, one who has no idea how to live as a human. He's so afraid of baring the dark part of his soul to her that he tries to keep his distance, but it fails. 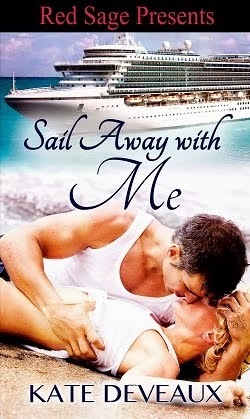 He's drawn to her goodness and strength, and knows he'll do anything to keep her safe. All Marielle wants to do is get back into Heaven, but these feelings she has for Connor make her wonder if she's fallen for good. This story was the best out of all of them in my opinion, with a surprise ending I didn't see coming (my favorite kind), and a great group of characters. You really need to pay attention to follow along with all the names, but if you know that, then you're golden. So far this series has read like one giant story, with each book being a new chapter, and from a different point of view. The books have gotten better and better, and I'm now caught up until the new one comes out later this year. Kinda bummed about that, but I can't wait to read Gregori's story.